Dratzo! There is a strange silence that permeates everything. The rascals of the night, the cabal, realize that the current period of nothingness signifies how the cabal can, to a certain extent, still control what goes on. Consequently, the Elders are cautiously monitoring the pace of change. Our liaisons still report that the process to commence a massive arrest is nearly complete. The present American de facto regime remains fully aware of its current shortcomings. The end is growing near as the current regime displays the emptiness that has largely characterized its official movements. The Light, as noted earlier, is readying itself for a possible breakthrough in due time. As usual, things are popping just below the surface. The elements of this odd reality stay as disjointed as ever. A strange sort of malaise is the dominant condition of this time. All of this is not destined to last much longer. The dark is beginning to notice the unusual rhythm that we have installed just beneath their feet. All is in divine timing and something the cabal can no longer ignore. You are in a time that is still not in synch with reality. Do not be confused by it. The underlying basic rhythms are gaining needed strength at a pace set by the Divine. This subterranean element is designed to weaken and upset the operation of this realm. Above this relative calm stands the distraught ways of the dark cabal. These chaotic tones are to shortly lay waste to the supposed victories of the dark. A sort of odd concerto is making it impossible for the dark to carry out what it now proposes. The forces of the Light are therefore waiting for the right time to come forth and quickly dissolve the current situation that is still gripping the last bits of the old reality. Hence, please bear in mind that what you see before you cannot last much longer. The dark cabal, as noted previously, realizes its foolishness. It is nevertheless unfortunate that the dark’s odd continuance has delayed the progress of the Light. The Light is slowly correcting all of this. Wondrous things lie just ahead. What is happening globally is a sign of what is to come. The Light was originally advised by Heaven to wait for the right divine time to act. This special time is nearly at hand. The dark saw the President’s win as an omen that the surmised quick end would not take place. The cabal, as stated before, believed that the Light had to accept the amazing existence of the USA, Inc. as a true sign that the illegal deal forced upon America in 1871 was to be allowed to remain. What the dark did not know is that this reality is only a temporary condition. As we stated in previous reports, this was done to give the dark false confidence. It has worked, and in the long run, made our tasks much easier. The dark cabal has now, in effect, put a noose around its neck. This project has now advanced too far for the dark’s liking. The frost is truly on the Pumpkin! We expect to be able to announce some good news shortly. As you can see, the schemes to entrap the dark are working well. The hard part is how much these developments have delayed the inevitable victory. The dark is finally finished and their vast networks of evil fully exposed. The Light can shortly finish its dutiful job, permit the new government (the NESARA Republic) to be revealed and the special jubilee to formally begin. This whole rollout is to proceed cautiously. The Elders have made it quite clear just how slowly it is all to take place. As usual, we must formally protest. We know that these events were really possible to move forward at a much faster and equally secure pace. This cautious approach clearly indicates the great degree of worry expressed to us by the various groups of Elders and royals. This dichotomy is rapidly disappearing as a greater consensus is reached by each of the different groups. The present results are yet another sign of this overall thawing. Hallelujah! Hallelujah! Namaste! We are your Ascended Masters! We arrive with many good things to talk to you about. Your marvelous visions are still about keeping a positive consensus and continuing to move this reality forward. The present difficulties notwithstanding, things cannot be stopped. Hence, we deeply ask that you take in all the positive decrees of Heaven and use them to move you ever closer to this world’s true essences for Love and Light – to spread throughout this sacred orb. We remain blessed and honored by your wondrous reaction to what occurred a few months ago. Understand that a certain result was necessary to keep this magnificent energy solidified, and be ready to accept what is to appear next. It is truly time for the Light to begin to manifest a new agenda for this realm. It has taken longer than first planned to finish the prescribed actions. This caused some necessary delays that are nearly at an end. What we have here is a series of situations that are soon to be completed. 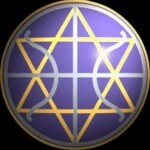 We have worked with Heaven to forge a number of special scenarios that are to dramatically alter the global chaos. A new ordering of this surface society is currently underway. We bless and reorganize all. It is time for a change in how the globe’s governments operate. Long ago, this world was destined to encounter some rough conditions. This period, which lasted for numerous millennia, is now nearing its most longed-for conclusion. Those who still believe in the old options are to receive a great surprise. There are to be new ones that are to stop the reign of terror, which seems to still be present. In effect, those who now temporarily run the show are in for a surprise. A whole new reality is to manifest and to greatly upset the current applecart. Let us bless and hail this new reality. It is a rare time when the dark is thwarted and the many terrorized subjects freed and wondrously supported openly by Heaven’s great servants. This, my Dear ones, is to be such a time. Be ever patient and ready to do what Heaven commands. Special sets of blessed commandments are ready to be enforced. The dark’s present position is to be upended and a new, more correct order is to take effect. We masters are joyous over what is about to happen. It has not been easy to watch the dark play with you. All of the dark’s servants are to receive their just dues. Knowing this can help you to better deal with the frustrations that many of you have felt. Therefore, we again ask that you bear with this time and realize that this too is to come to pass. Heaven fully intends to have this realm changed as we have promised. With this in mind, be happy and plan to enjoy what is to pass! Hosanna! Hosanna! Today, we carried on with our weekly report. Remember, much is getting ready to manifest. These hard times are nearly over. We look forward to watching all of you celebrate this new age. It is to be a great, magnificent time! Know, dear Ones, that the countless supply and never-ending prosperity of Heaven are indeed yours! So Be It! Selamat Gajun! Selamat Ja! (Sirian for Be One! and Be in Joy!